Woolrich, a company that has been producing clothes in the USA for over 180 years, has signed a lease for a SoHo flagship store that will be the first of its kind for the company. 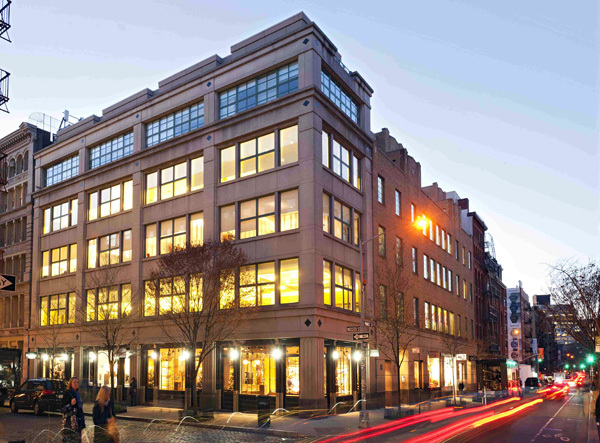 According to Woolrich’s broker, David J. Baker of Isaacs and Company, Inc., they knew from the outset that SoHo would be the neighborhood of choice for the brand to make a retail beachhead prior to expansion into other markets. The company confined its look to the prime core of SoHo in order to be close to other synergistic retailers such as Moncler, Barbour and The North Face. “The folks at Woolrich were very focused on finding the right location that would also allow them plenty of time to prepare for a store opening by September when their prime Fall/Winter selling season begins,” said Baker. 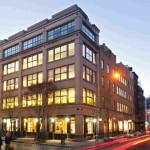 The space they eventually chose, 125 Wooster Street (aka 130 Prince Street) was originally viewed as a backup as there was a deal pending with another tenant at 125 Wooster when Woolrich started touring spaces. Fortunately, that deal hit a snag and Woolrich was able to complete a deal from offer to lease execution in under thirty days. The Cushman & Wakefield Retail Services Team of Alan Schmerzler, Chris Schwart and Steven Soutendijk represented property owner, Invesco, in the transaction. Invesco added this property to their portfolio in 2012 and has been making selective upgrades, most notably undertaking a complete re-bricking of the Prince Street façade to increase the area of windowed storefronts while at the same time returning the building to its historical appearance. “Woolrich is exactly the type of retailer we were hoping to find for 125 Wooster Street. They are a classic American brand with excellent synergies to the building’s existing retailers as well as to retailers in the immediate area,” commented Schmerzler.